Accoya is a modified timber product that has had it’s chemical structure altered by way of wood acetylation. Acetylation refers to the process of reacting the timber with acetic anhydride, once the timber has undergone this process, the timbers ability to absorb water is greatly reduced thereby vastly increasing the durability of the product. Accoya refers to the Softwood (Radiata sourced from New Zealand) that has undergone the process, a hardwood version Accoya Alder (as the name implies from the timber Alder) is also available. For more information please see Accoya. Refers to the method of drying out timber naturally using the circulation of air. The pieces of timber to be dried are stacked on top of each other, separated by lathes or sticks to allow the air to circulate. This method of drying takes considerable time. Also known as In Stick. The concentric rings of wood fibre added annually as the tree grows. The wood fibre is made up of alternating rings, the darker rings being formed during the summer and the lighter rings during the winter. Also known as Growth Rings or Tree Rings, the Annual Rings can be used to determine the age of the tree, this is known as Dendrochronology. Ornamentation planted on, instead of being worked on, in the solid. An ornamentation on the middle rail of a door. It is usually planted on, but may be moulded/carved in the solid. The middle, or lock rail of a door, with raised ornamentation. The ornamental mouldings mitred round a door or window frame. The Architraves cover the joint between the plaster and wood framings. A triangular rail used in fencing. A long twist bit turned with the hands, usually by means of a handle. A hinge with large flaps for screwing onto the face of a door and framing. The vertically sliding sashes in a sash and frame window. Any overly large sections of rough-sawn timber. A row of Balusters / Bannisters with a base and handrail forming a protective enclosure. The small vertical timbers supporting the handrail to stairs. Sometimes referred to as Hook and Band hinges or Hook and Eye, these are heavy duty hinges usually found on wooden gates and garage doors. They are in two pieces, the hinges being the band and the gudgeon or hook being the pivot which the hinge swings on. Band and Gudgeon hinges come in two different types, cranked (pictured below) and straight; the cranked version being used when it is required to keep doors of gates flush with the face of the frame or posts. A Tenon with only one side shouldered. The inclined timbers on the gable of a building, used to cover the ends of the roof timbers when they project over the face of the wall. Sometimes referred to as Verge Boards or Gable Boards. A well defined opening containing bark between the annual rings of a tree, which develops as the tree is growing. An alternative name used for a Skirting Board. Narrow timbers fixed to a wall for wallboards, matchboarding, Skirting Board etc to be fixed to. Also known as Grounds. A window projecting over the face of the wall and continued from the ground. A round moulding with a quirk, used to remove the sharp arris, and to break the joint between boards. When several beads are placed together, they are called Reeds. If the bead lies below the surface, it is referred to as a Sunk Bead. Used for holding and steadying small stuff while being cut. The term applied to to any hung frame, that fits too tightly on to the stop or rebate and so prevents easy closing. Hinge Bound. A V cut or fork in the end of a piece of timber, so that it sits astride the corner of another piece. A Mortice for a stub tenon. An engineered board that comprises softwood blocks glued together and sandwiched between two veneers. Normally only suitable for interior work as the glue used to bond the blocks together and veneer upon them is not normally an exterior glue. A small plane that can easily be used with one hand, useful for fitting mitres etc. Converted timber of small size, but very wide relative to the thickness. An interior window obtaining light from another usually exterior window. A semicircular or segmental Bay Window. A tenon in the form of a rectangle for corner posts. For more information on the Box Tenon, please see our previous post on this and other woodworking angle joints. A deviation/curvature in the flat of the timber from one end to the other, eg. if the timber was lying on a flat surface, then the centre would be slightly lifted. A member of a framed structure crossing a space diagonally, and able to resist either compression or tension. Also a cranked hand-drill for boring. Arranging the consecutive heading joints in floor boards and matchboarding so they will rest on different joists or studs. A reverse joint to the Stub Mortice and Tenon joint. For more information on Bridle Joints, please see our previous blog post on these and other woodworking angle joints. Also known as the BWF. They are a trade organisation for the Woodworking and manufacturing Joinery industry in the UK. To become members you have to be vetted before you are accepted in and then you have to follow their code of conduct – you can read a bit more about their vetting of new members here or go to the BWF website. A small circular or elliptical window. A step having the end shaped to a quarter circle. A tree growth in which the grain has grown in a deformed manner, usually found round a wound or deformed bud. The burrs produce highly decorative, yet hard to work wood, which are used in veneers, turning, etc. Hinges that are intended to be sunk into the edge of a door or casement. Two pieces of timber jointed together with a square joint. A small piece of wood secured by one screw so that it is free to revolve. Used to secure one piece of framing to another and tabletops/counter tops to the carcasses. Buttoned joints. 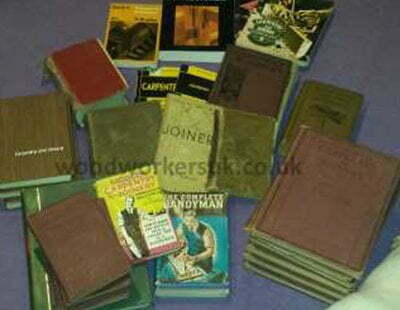 See British Woodworking Federation above. If you have any woodworking terms to add, then please use the comments box below and we shall then add them. Older Go green, use wood! Pingback: (EN) – Carpentry and Joinery glossary A-Z | Gate Expectations | Glossarissimo! Pingback: (EN) – Carpentry & Joinery glossary A-Z | Gate Expectations by Inwood | Glossarissimo! Hi, can you tell me the name of the tool which is made up of thin metal pins which can be pushed into the shape of mouldings etc in order to copy the shape to reproduce it?